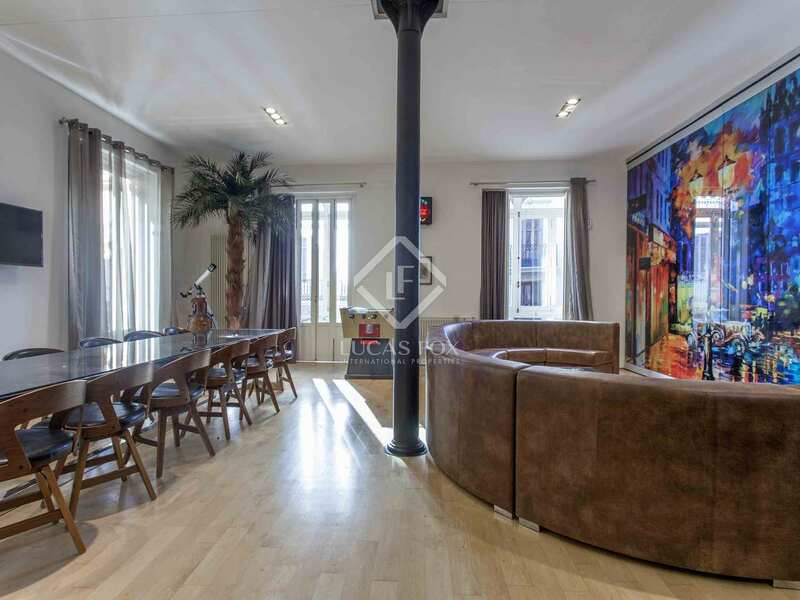 Renovated property with a contemporary style, with 4 bedrooms and 8 balconies and viewpoints overlooking important monuments. 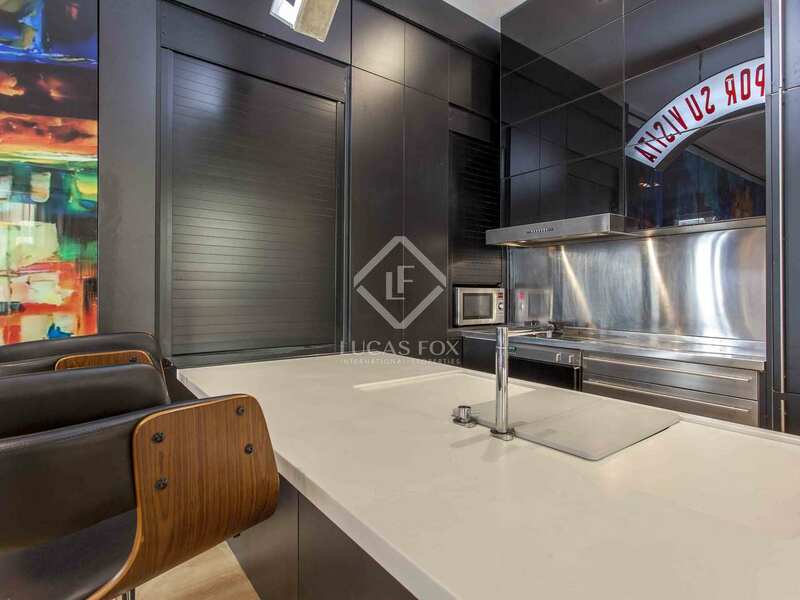 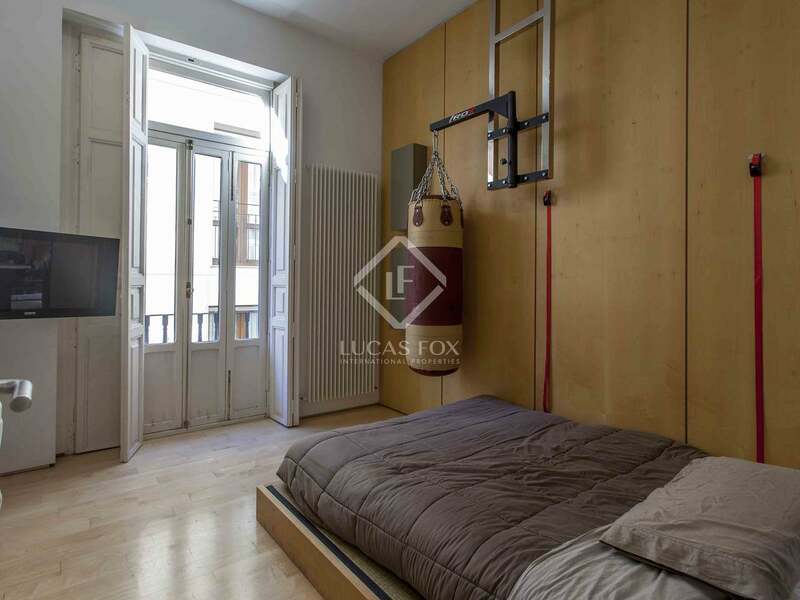 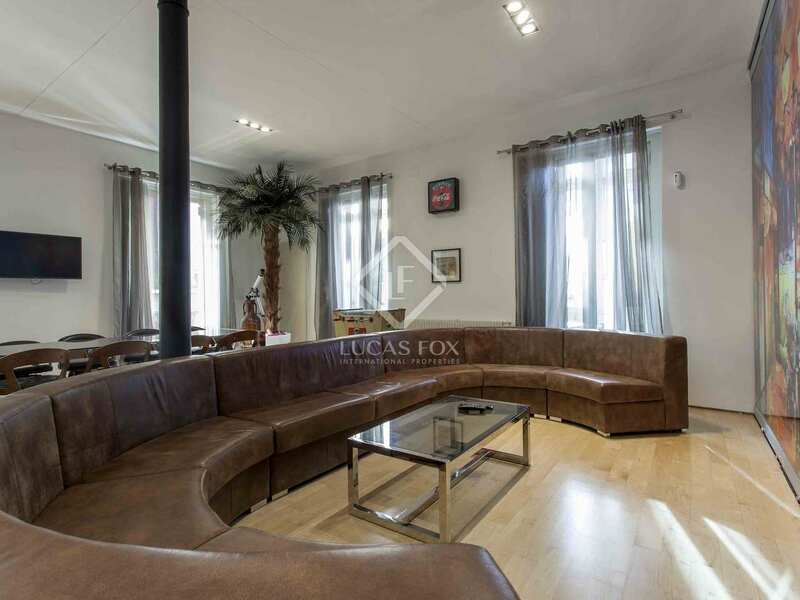 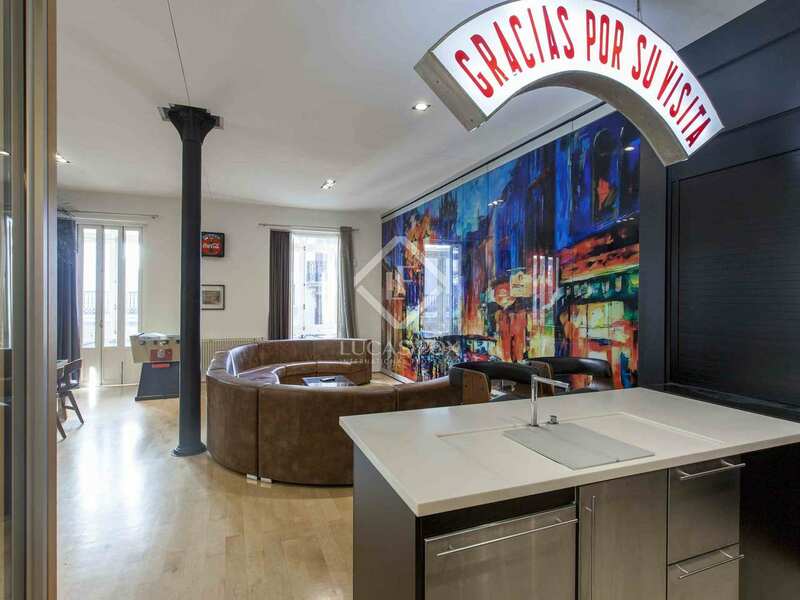 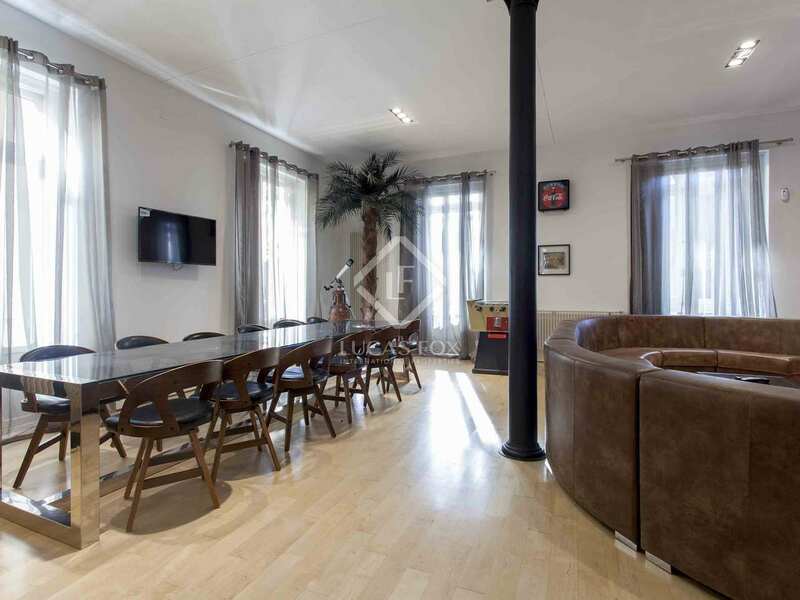 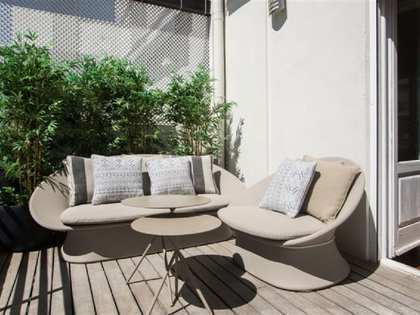 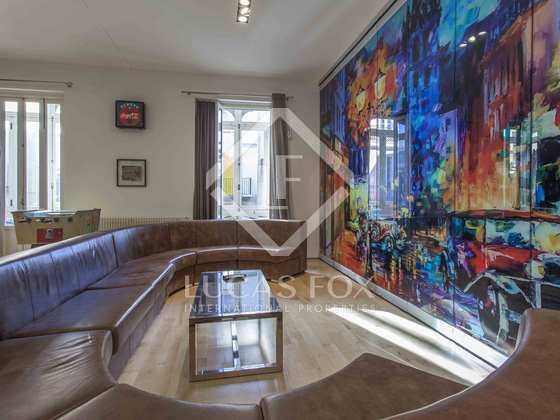 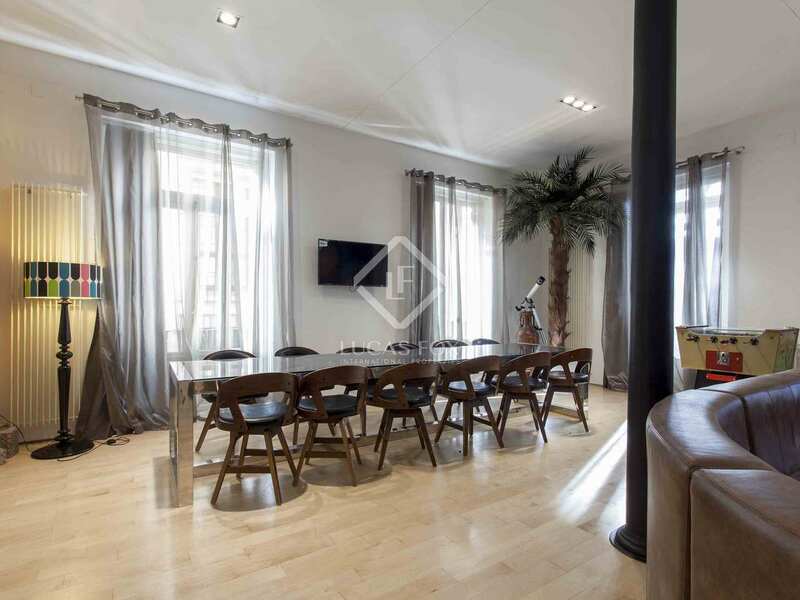 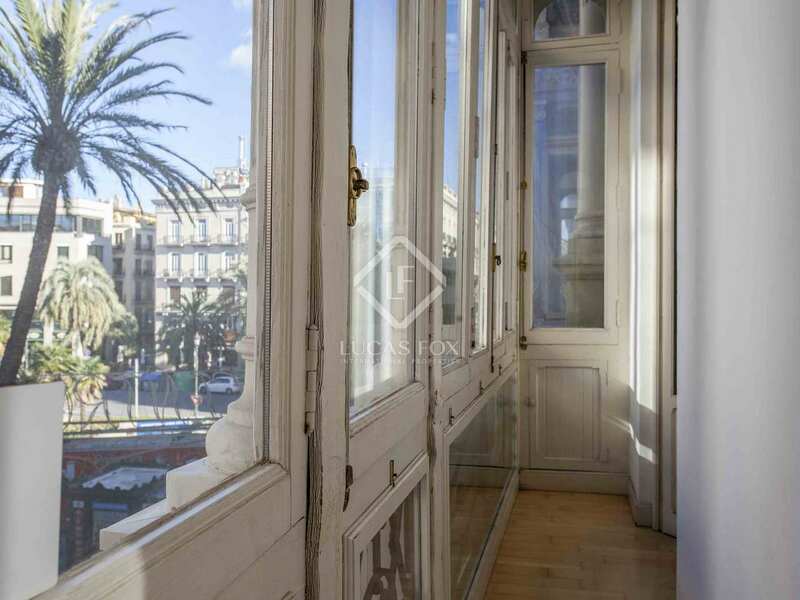 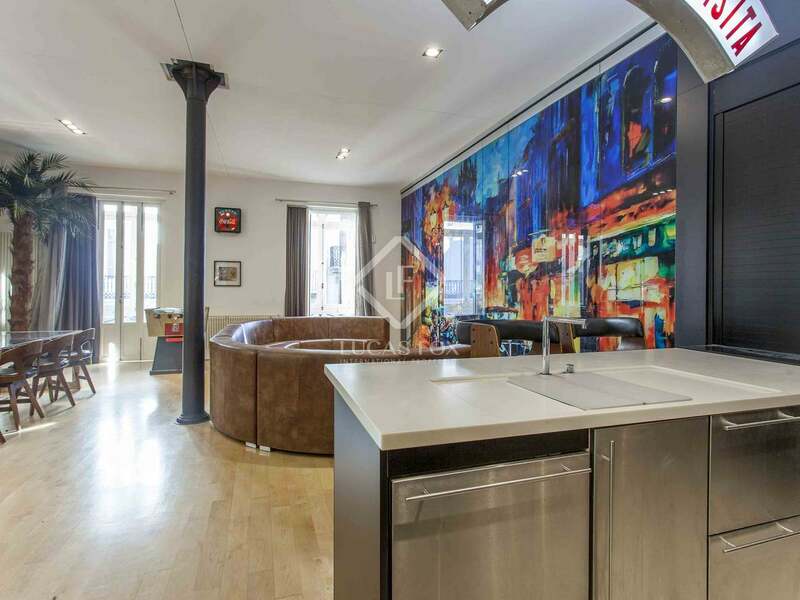 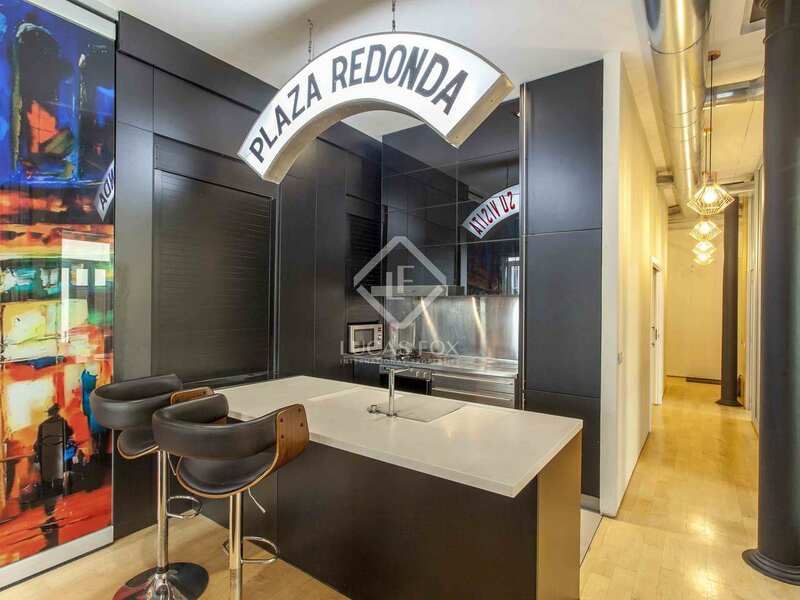 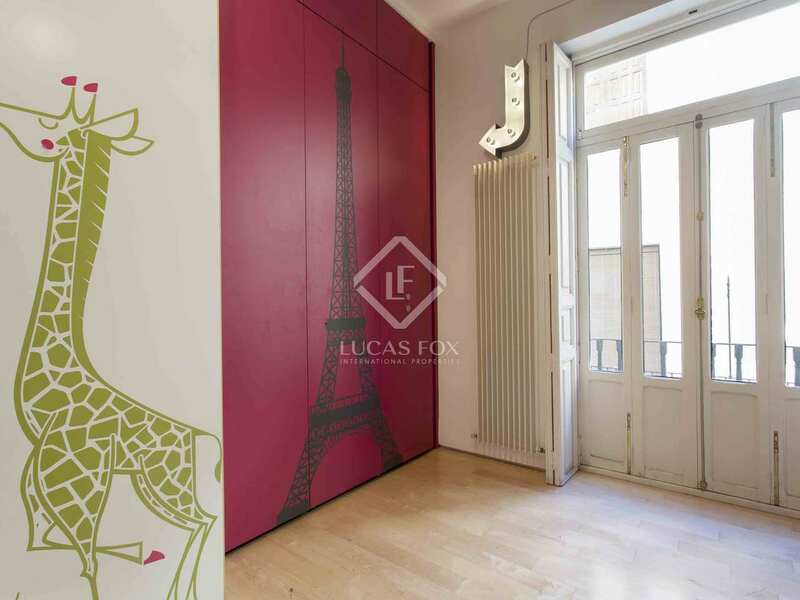 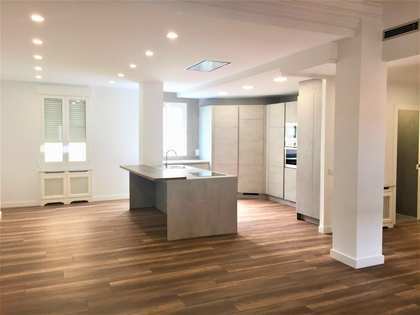 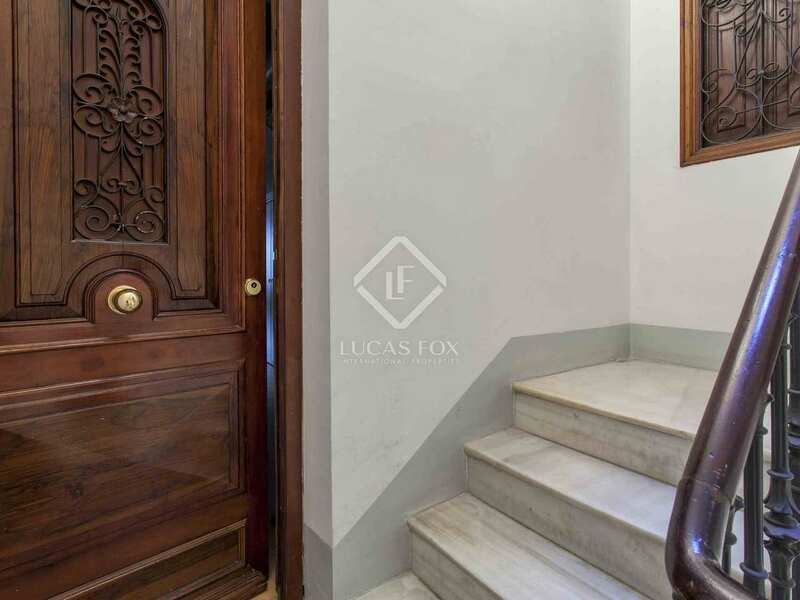 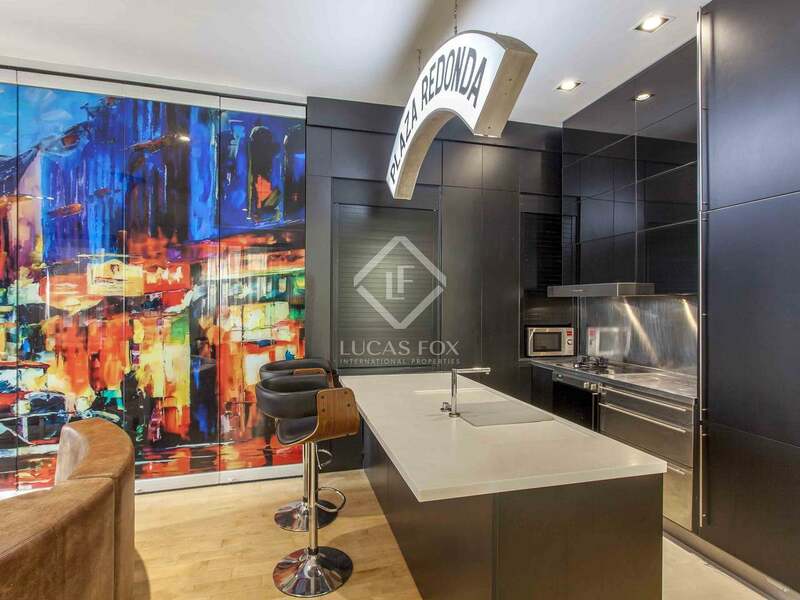 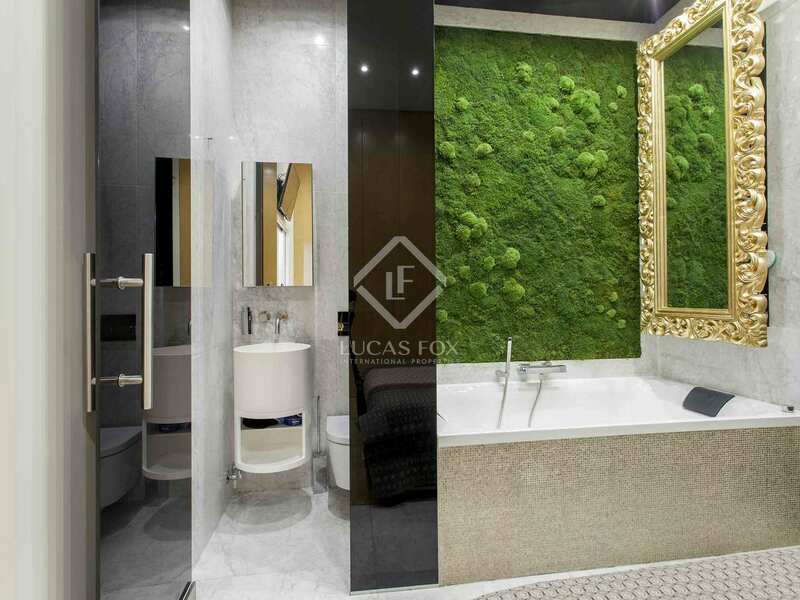 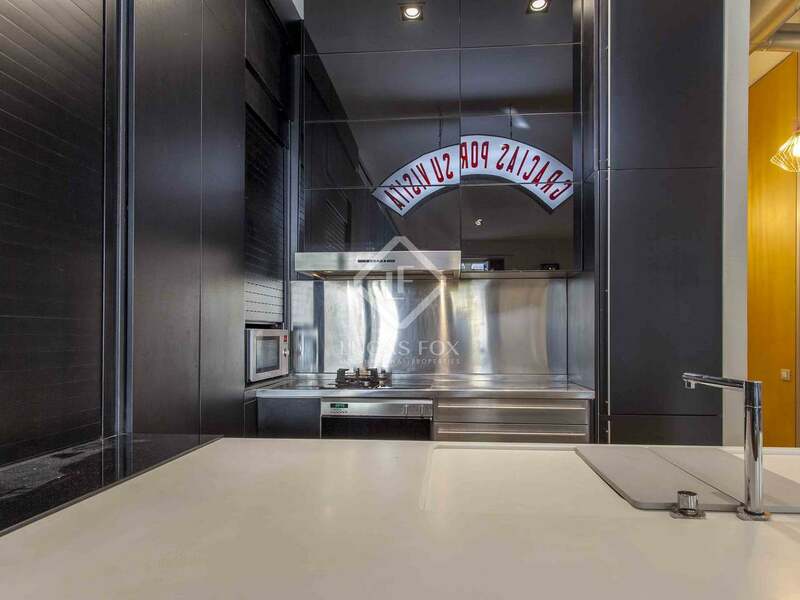 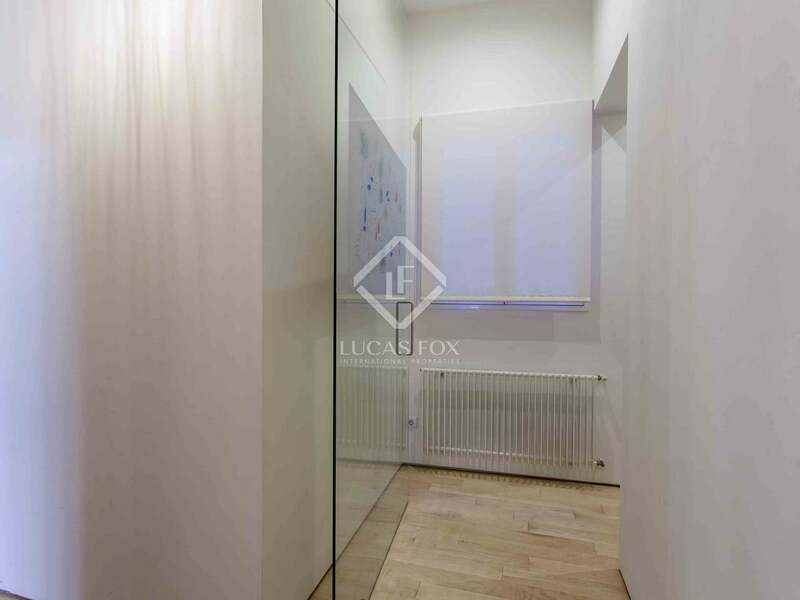 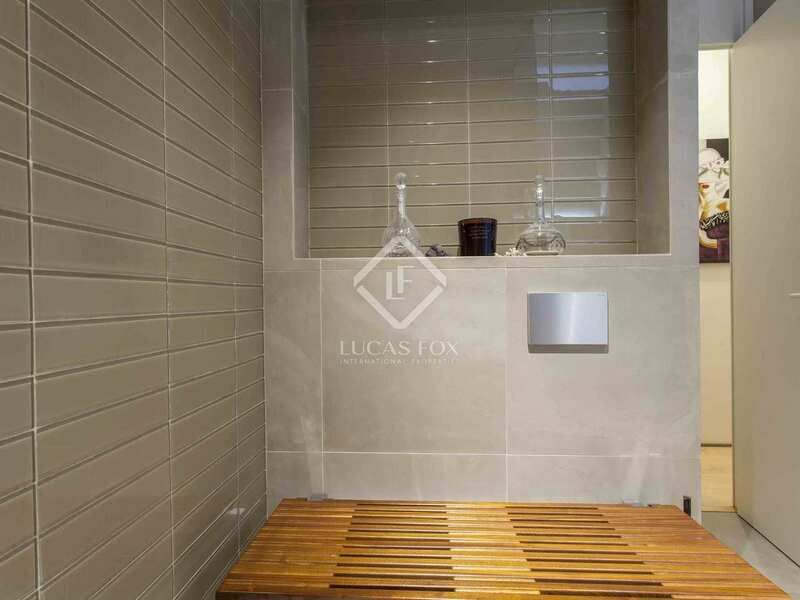 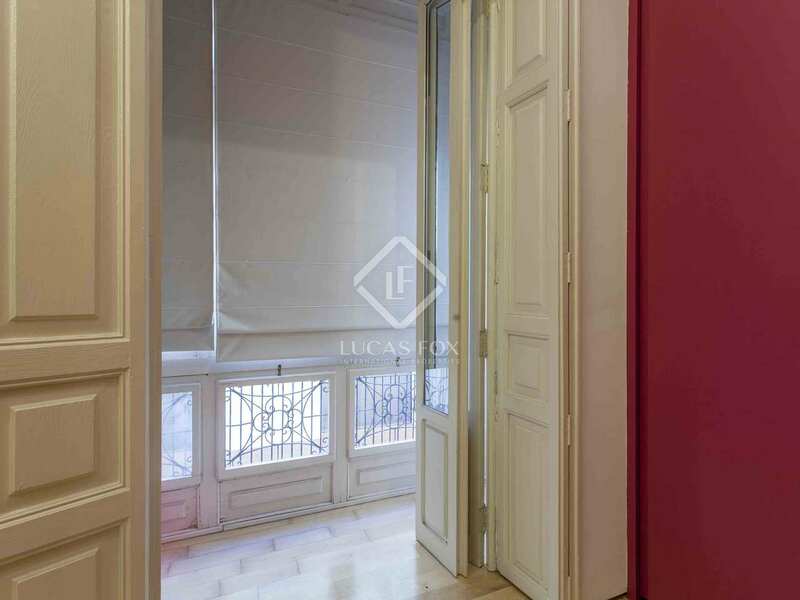 This apartment is located in the Mercat neighbourhood, in a renovated nineteenth century building with views of monuments and emblematic places in the city. 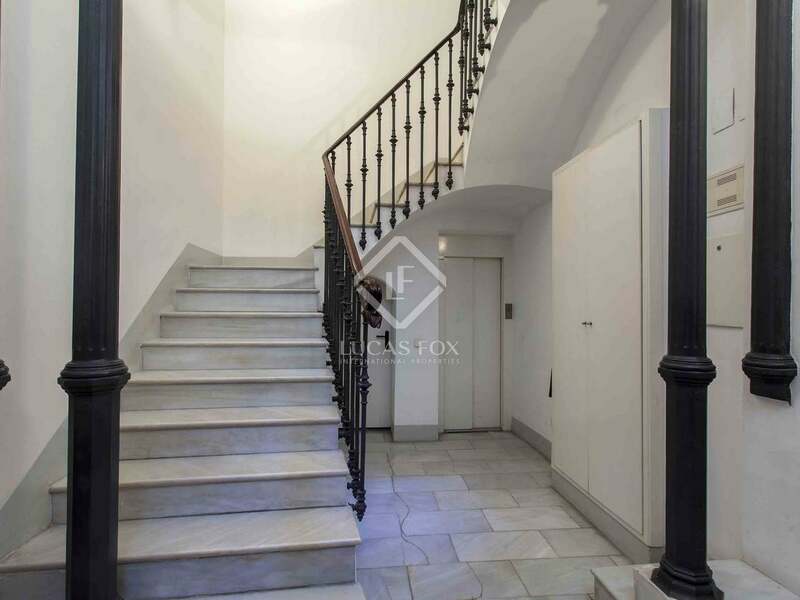 The property has been renovated with a contemporary style, artfully integrating the characteristic elements of the original mid-nineteenth century building, such as the iron pillars, the viewpoints and its exterior joinery and other decorative details, in-keeping with the neighbourhood in which it is located. 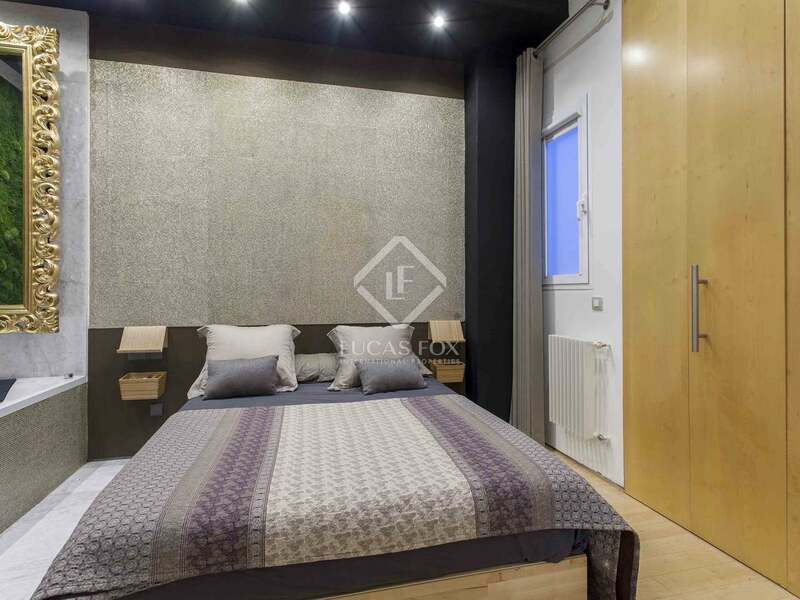 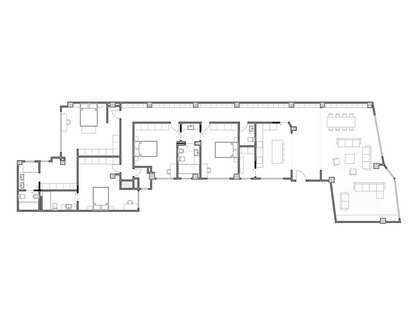 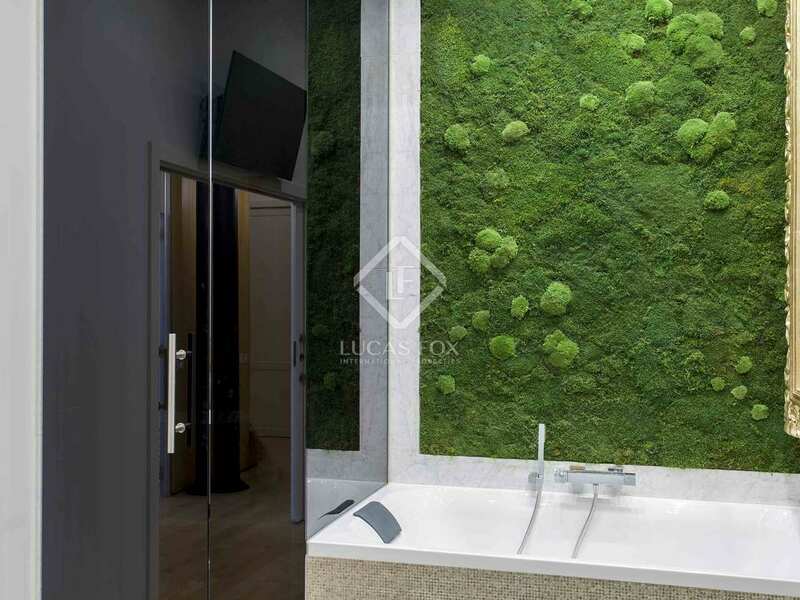 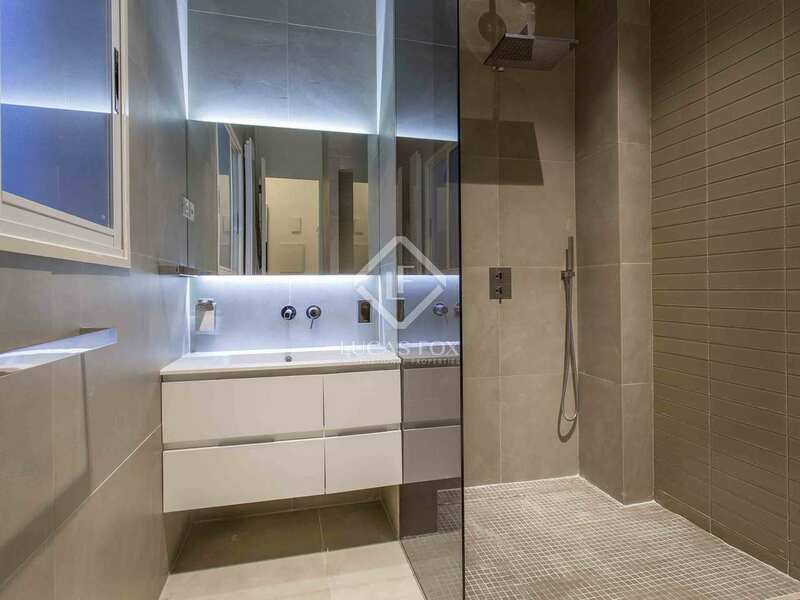 The apartment has a good layout that clearly distinguishes the day and night areas, although the moveable panels of the bedrooms permit open plan communication of the spaces. 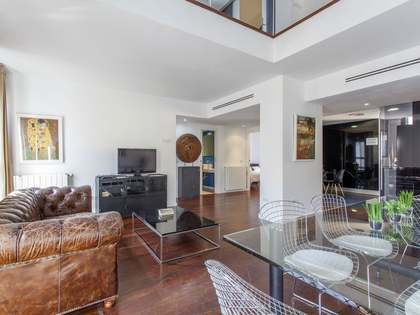 The living room, with its open kitchen, makes a comfortable meeting place with a great deal of natural light and beautiful views of Plaza de la Reina and Santa Catalina. 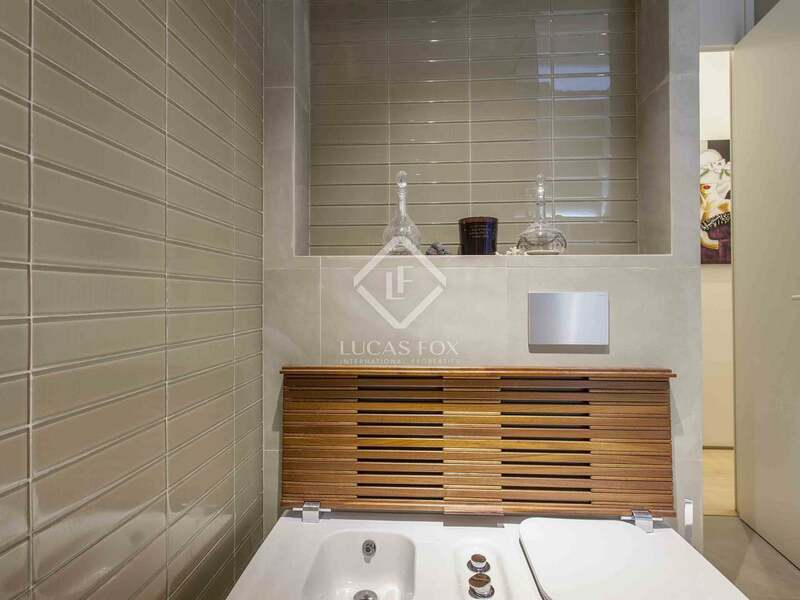 In the sleeping area, the 3 double bedrooms share a spacious bathroom, while the master bedroom has its own private bathroom. 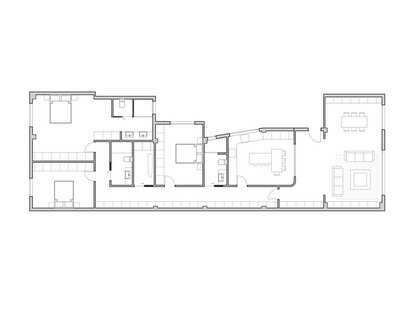 Most of the rooms are exterior facing, with a total of 8 balconies and viewpoints, which allows a lot of natural light to enter all spaces. 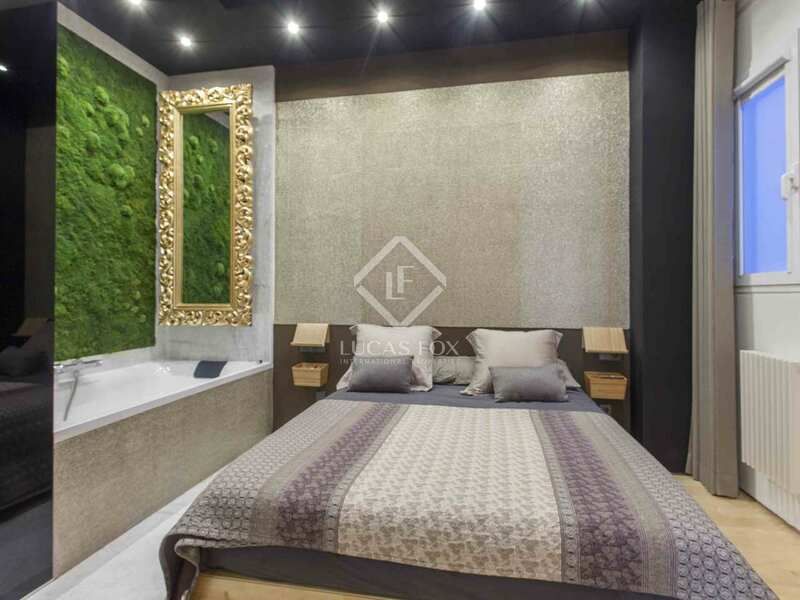 The only room that is not exterior is the master bedroom, which is tucked away in the peaceful interior side of the home. 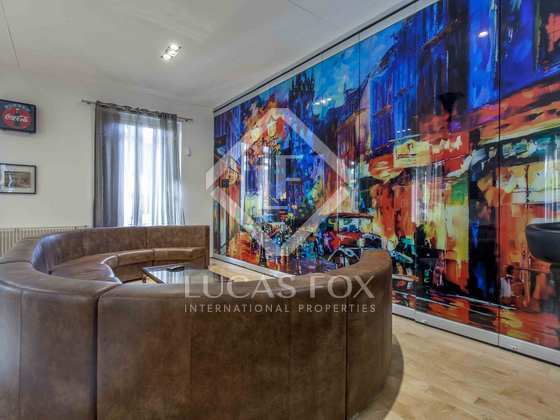 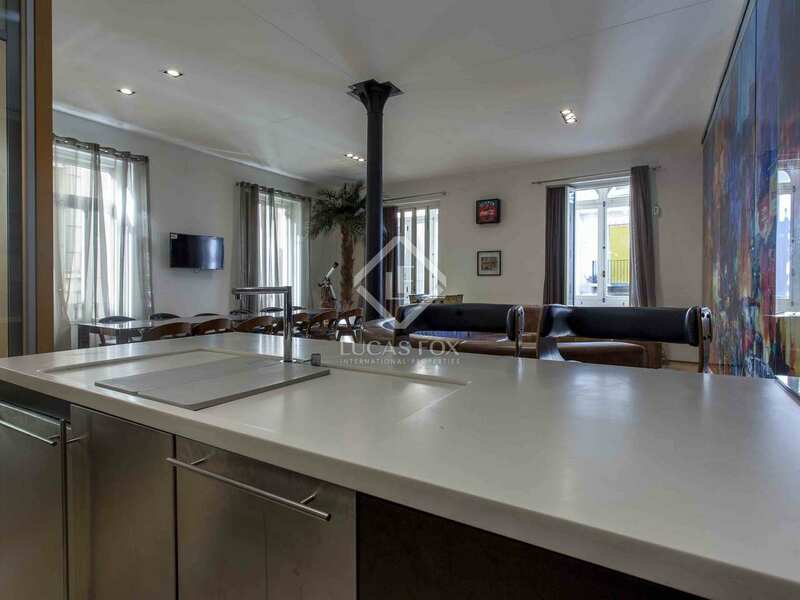 An unbeatable opportunity for those looking for a modern home in the ideal location to enjoy the city. 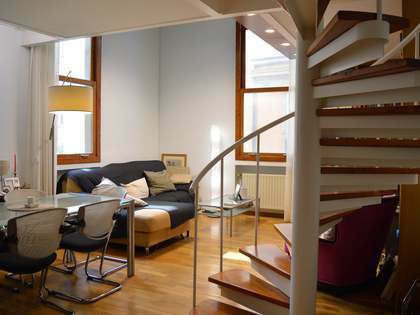 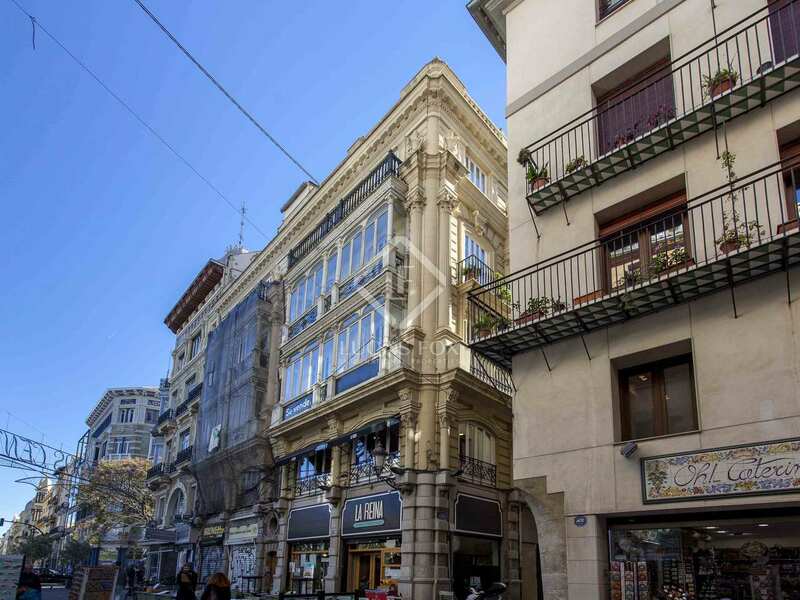 This apartment is located in the old town, next to several monuments of great tourist and cultural interest. 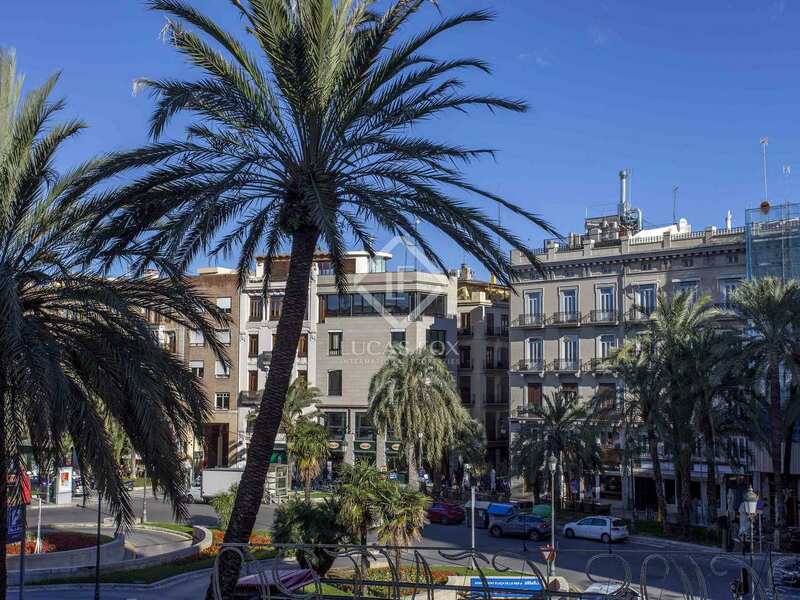 The area offers leisure, culture, gastronomy, green areas, shops and pedestrian streets. 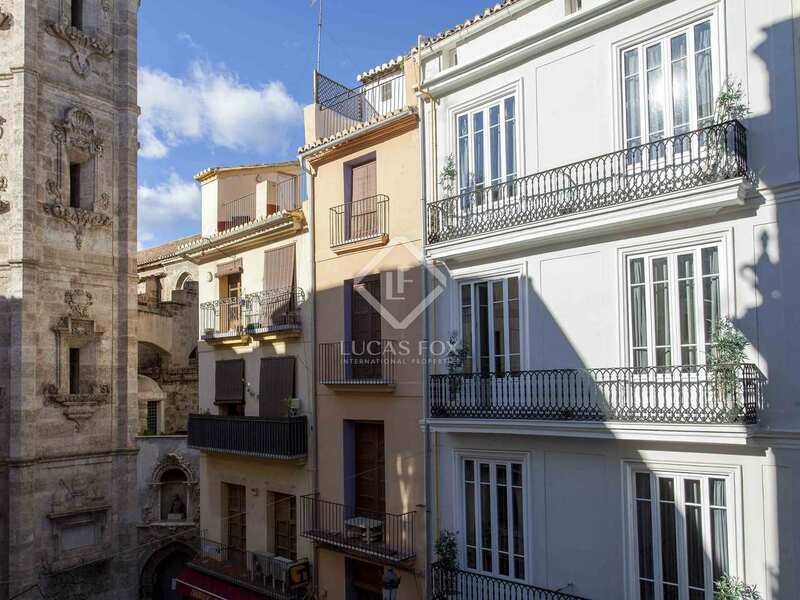 It is the ideal location to enjoy Valencia.